Welcome to Chopsuey Number Two, a place where you can safely buy premium brand name watches online. We’re excited to provide Filipinos with access to luxury brands at very affordable prices. Chopsuey Number Two is a family-owned and managed business registered with the SEC, established in 2009. With almost 4 years of web presence up our sleeves, it’s hard to believe we started with an inventory of only 4 pieces of Technomarine watches! Currently, we have thousands of items in stock and we have grown to become one of the largest online watch distributors in the Philippines. 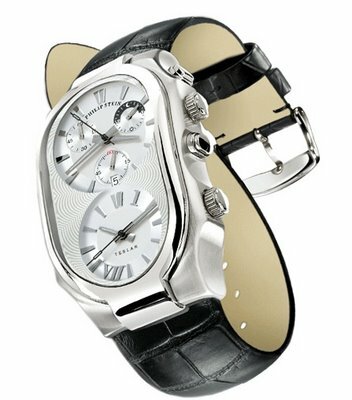 We carry the latest and most fashionable brand name watches: Casio, Glam Rock, Invicta, Lacoste, Marc Jacobs, Michael Kors, Philip Stein, Technomarine and TW Steel. All watches sold by Chopsuey Number Two are 100% authentic and brand new, imported from U.S., in original packaging and warranty. We buy only from reputable dealers/distributors from the U.S. We do not sell replica or refurbished watches. Our watches are priced cheaply because we are not an authorized dealer of any of the brands we sell, thus not held to the manufacturer’s terms. We can price our products as low as we can. Since we are not an authorized dealer, we cannot supply the manufacturer’s warranty. We therefore offer our own warranty in place of the manufacturer’s warranty. If you are not satisfied with your purchase, you may exchange your order within 7 days of receipt. Please return your order in brand new/pristine condition and in original/complete packaging. Please note that shipping fee will be shouldered by you for the replacement item. If you do not want a replacement, we will refund your order, less shipping fee. We will refund your order by bank deposit if the returned item passed inspection. If you received a defective item or it isn’t what you ordered, please contact us within 3 days of receipt. We will send a replacement as soon as we received the returned item. We will shoulder all shipping fees in this case. Chopsuey Number Two is registered with the Securities & Exchange Commission under Golden Glitter Corporation. All orders made via our website are covered by our Money Back Guarantee and all transactions are encrypted. We are a Multiply Trusted Seller and an eBay PowerSeller/Trusted Seller. All purchases via Multiply and eBay are covered by their respective Buyer Protection Programs.